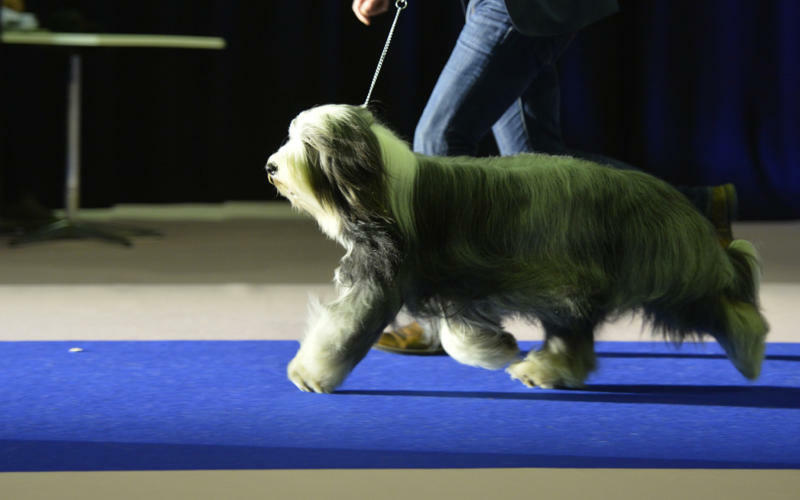 It is always a good idea to acquaint yourself with the specific rules and guidelines that apply to Danish dog shows before entering. Here you can find some information on what is and is not allowed at shows in Denmark. According to Danish legislation, tail docking, ear cropping and removal of dewclaws with the purpose of changing the dog's appearance are forbidden. All ear cropped dogs born after 30 June 2009 cannot be shown regardless of the dog's country of birth. Cropped dogs born before 1 July 2009 can only be shown if the dog has been born in a country where ear cropping is permitted. (Danish bred ear cropped dogs born after 1 January 1985 cannot be shown). It may be possible to procure further information at the show secretariat regarding the state of affairs of ear cropping in other FCI countries. Tail docked dogs born after 1 June 1996 cannot be shown, regardless of the dog's country of birth. The prohibition also includes dogs that have been docked for veterinary reasons, irrespective of whether a veterinary certificate is presented. If a dog has been born stump-tailed (with a natural bobtail), it must as far as Danish bred dogs are concerned appear on the dog's pedigree certificate. As far as foreign-bred dogs are concerned, a veterinary certificate issued in English in the country where the dog has been bred must be presented, certifying that the dog has been born stump-tailed. Dogs without tail or with only a part of the tail born after 1 October 2004 of all other breeds than the above are considered missing a part of the body and consequently they cannot be shown (must be disqualified). Furthermore, according to Danish legislation removal of dewclaws with the purpose of changing the dog's appearance is forbidden. As legislation regarding docking/other surgical interventions varies from country to country, the judge must not when judging consider whether the dog has in accordance with the breed standard been docked or had its dewclaws removed. The dog must be vaccinated against distemper and parvo. For dogs up to 24 months, the vaccination has to be less than one year old. For older dogs the vaccination must not be more than four years. First time vaccinations must be done at least fourteen days before the show date. A positive titer value, showing protection of the dog against distemper and parvovirus will be equal to the vaccination. Foreign dogs must also be vaccinated against rabies according to Danish legislation. Documentation for vaccination must be brought to the show. Puppies under the age of 3 months must not be brought to the show.